Design and shape the world around you with the powerful, flexible features in AutoCAD* 2013 software, one of the world*s leading 2D and 3D CAD design tools. Maximize productivity by using powerful tools for design aggregation and documentation, connecting and streamlining your design and documentation workflows. 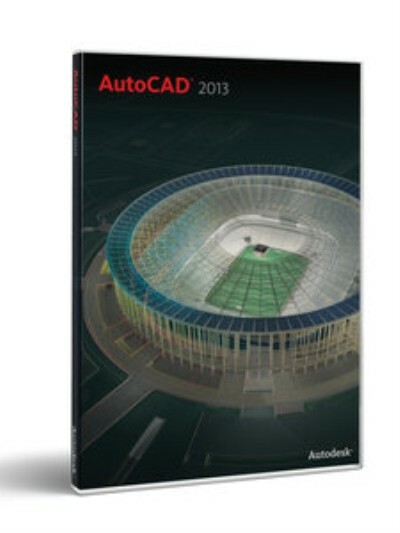 AutoCAD 2013 is available on Windows* and Mac* OS, allowing you to work natively on your platform of choice. Extend the power of AutoCAD when you purchase as part of the AutoCAD Design Suite, providing easy-to-use visual communication workflows. A tight connection with Autodesk* 360 allows you to synchronize files. This includes syncing drawings and folders with your online account directly from within AutoCAD* software. You can export and attach files directly to your single sign-on account and share files with others via your Autodesk online account. Easily extend the power of AutoCAD software using AutoCAD companion apps created by members of the Autodesk* Developer Network. Getting the add-ins you need has never been easier. Visit a single destination to select from hundreds of Autodesk approved extensions. Autodesk* Inventor* Fusion software adds to the 3D conceptual design capabilities of AutoCAD, enabling you to flexibly edit and validate models from almost any source. Enhanced interoperability allows you to edit solids in CAD blocks without exploding them. The AutoCAD user interface has been enhanced to provide a more seamless interaction with the software. You*ll find a less intrusive, yet more flexible command line, additional contextual ribbon tabs, and more objects with multi-functional grips. This streamlined interaction with powerful tools, such as associative arrays and hatching help you save time and focus on your design. Apple* Mouse, Apple Magic Mouse, Magic Trackpad, MacBook* Pro trackpad, or Microsoft-compliant mouse.